The film centers around Jasmine (Blanchett), a former New York socialite teetering on an emotional tightrope, balancing between her troubled east coast past and a fresh start in San Francisco. Having moved into her sister’s (Hawkins) humble apartment, Jasmine ricochets between the tumultuous acceptance of her new limitations, and the dreams of reclaiming her past life’s glamor. 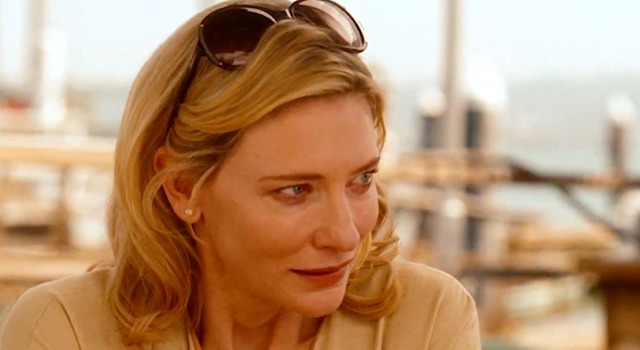 Well-received by the critics—it garnered a rating of 91% at Rotten Tomatoes based on 153 published reviews—the PG-13-rated Blue Jasmine (which has narrative that sort of plays like an updated variation on Tennessee Williams’ A Streetcar Named Desire) received a wide release to U.S. theaters in August, 2013, where it rang up a healthy $33 million.